"ive caught everything from inshore reds to big ol grouper in this reel it is by far the best reel ive ever owned. the drag is nice and smooth and line just floats off of it"
"It seems every time I intend to purchase a Penn reel, I leave with a Shimano. After comparing several popular reels, I bought the Spheros 4000FB and loaded it with 20lb braid and there isn't much it won't reel in. 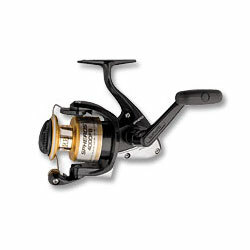 From inshore snappers to tarpon, this reel is ready"